On average, welding produces up to 20 kg of fine particulates every year. These are toxic substances that can be quickly inhaled and are a considerable problem for the welder. Although there are no immediate effects, long-term exposure to these particles is harmful to health. It is for this reason that safety measures have been defined in the relevant provisions, such as occupational health and safety legislation. A ventilation system for the room alone is not sufficient. To ensure effective protection, it is necessary for there to be an extraction system operating above the workplace. An even better solution would be an extraction system operating immediately at the welding location itself, allowing the harmful fumes to be filtered out as soon as they are generated. 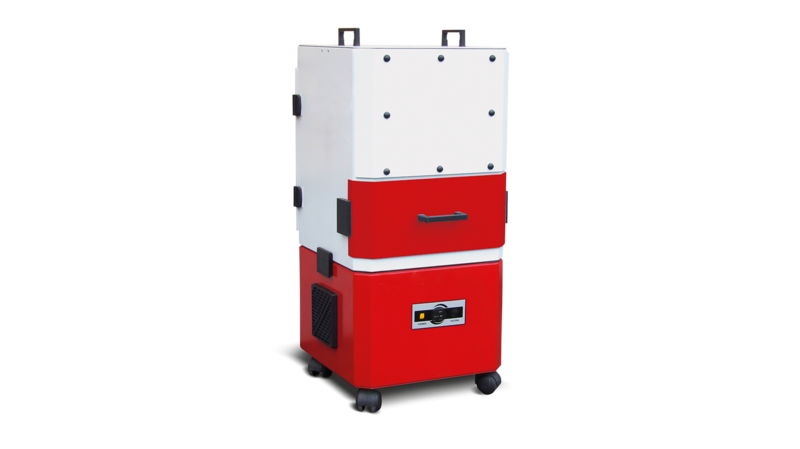 An efficient welding fume extraction system is therefore an indispensable requirement for every welding workplace.